– Sign in with your FB or register a user in our pages. 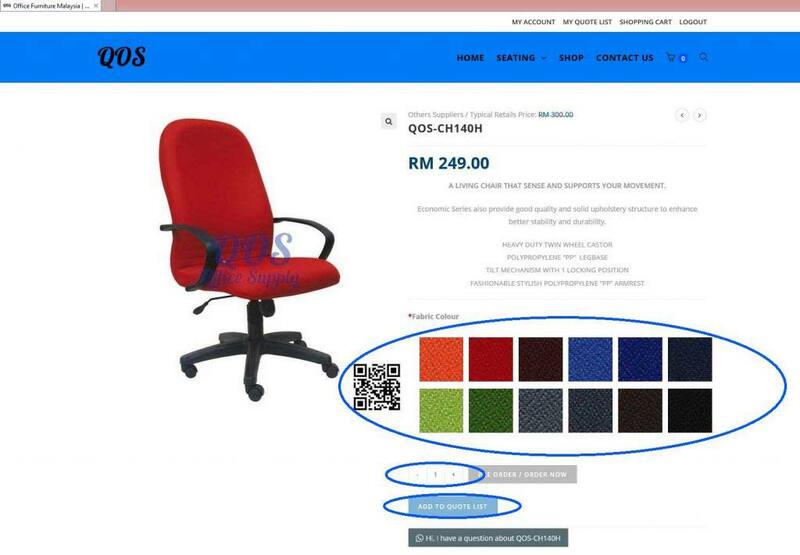 – Select the colour, and the QTY you need, and Press “ADD TO QUOTE LIST”. The “ADD TO QUOTE LIST” button will change to a link as “Browse the list” after your click. You can view your quote list by clicking “Browse the list” or “My Quote List” at the Top Menu. Step 4- Confirm your item then send us the list. Double confirm your quote list Item. (Model, Colour and Quantity). 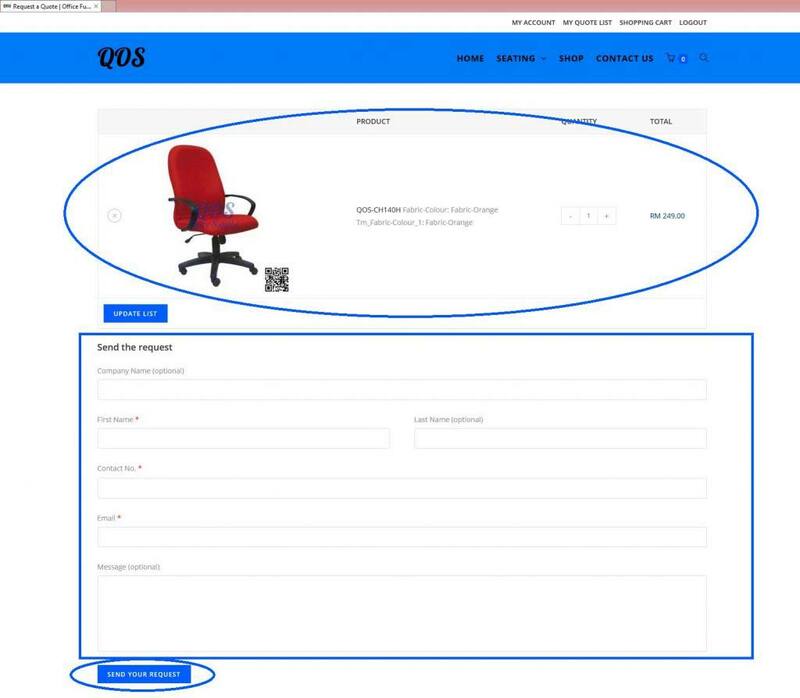 Fill up the form for our system to generate an Official Quotation in PDF files and send it to you through email. * Contact No. – Your Contact No. * Email – Email address for received the quotation. 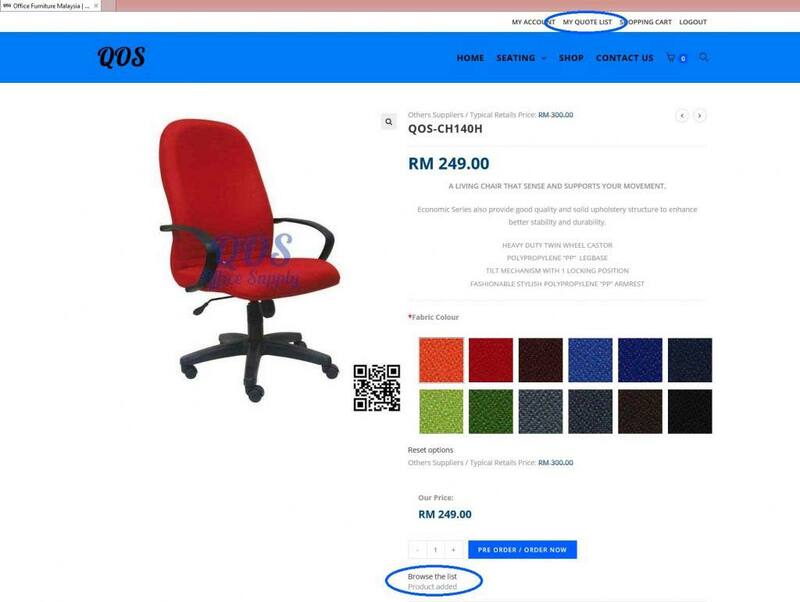 * Message – Additional message you want to mention, example same model but different colour, chair customization or others. 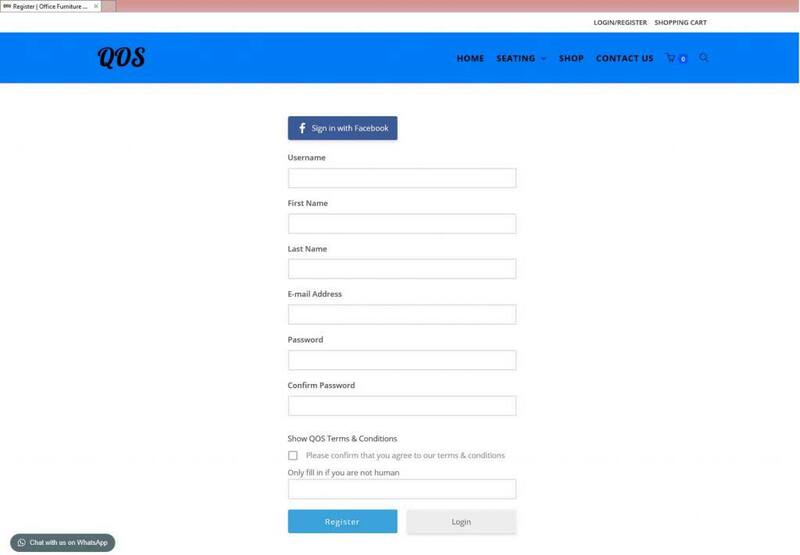 Once all done just click “SEND YOUR REQUEST” and you will receive your quotation within 30mins. *If more then 30mins still not received our quotation please kindly use the “Chat with us on WhatsApp” or the WhatsApp Icon which locate on bottom left to communicate with our on duty operator.